In case you missed it: when Melbourne Airport held its stakeholder event for 2018 earlier in October, not only did it outline its future vision for its terminals, but it also provided a lot more context to the AirRail Melbourne proposal. 37 million passengers passed through the airport's terminals in the most recent financial year and the airport expects that to top 70 million by 2038. Expanded runways, on-site renewable energy generation, Terminal 3 (Virgin Australia) as well as Terminal 2 (International) upgrades add to new ground transport upgrades that will all occur at the airport over the next decade. Not only do we have a clearer picture of the terminal changes that will occur over time (see video below) but we also now have a far clearer vision of where a station might be located. 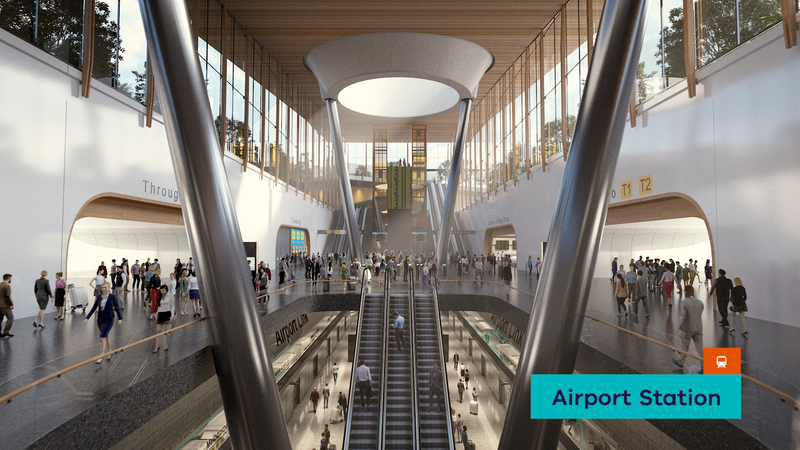 Remember when a consortium led by the Melbourne Airport operator unveiled it's proposal for AirRail Melbourne and posted a render of the airport station interior? This is where it is located, according to the AirRail Melbourne proposal, unveiled as part of the Airport's own expansion plans. Of course, the AirRail Melbourne proposal is just that - a proposal - and with a state election underway whose result will have a major impact on the Melbourne Airport Rail Link, what the airport operator's have produced might not be the actual outcome. Regardless, the money invested in the early design that's clearly been undertaken gives a clear indication on the thinking involved with future ground transport options at the airport. Note that in the render above, other than the station located outside Terminals 3 & 4, the other major change is the departure and arrival car lanes for private vehicles will divert away from the existing forecourt and it appears the existing departure ramps and car lanes will be given over to pedestrians. 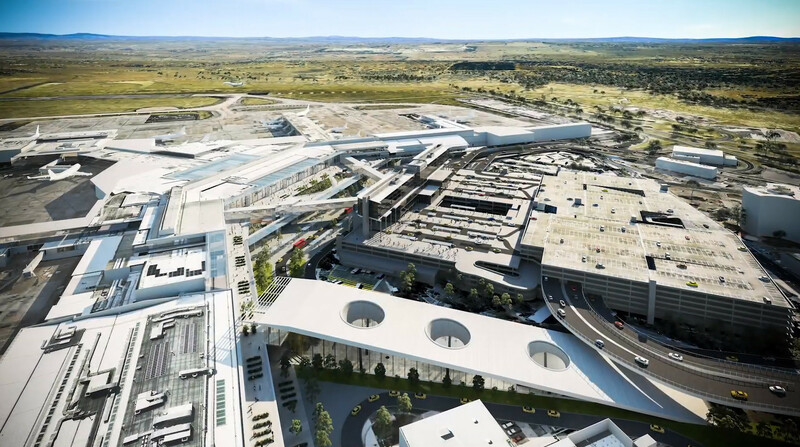 See the video below for a wrap up of the future plans for Melbourne Airport.